Alex Lisica has been a broker with Rolei since 1982. Alex grew up in Split, Croatia and has been recognized several times by the National Guardian Life Insurance as a Top Agent Broker. 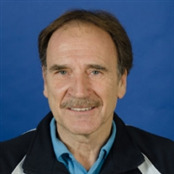 Alex played professional soccer in Europe and Canada as an accomplished goal keeper before coming to the U.S. Alex is USPTA certified and has been teaching tennis full-time since 1990. Thank you for your professionalism and simplyfing our insurance package with the necessary coverages. Your advice on Cyber Liability was very valuable.